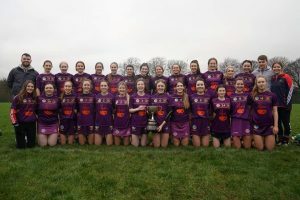 De la Salle GAA club in Waterford will be the venue when Loreto takes on Ursuline, Waterford in the All Ireland senior camogie semi-final at 12.00 on Saturday, 9 February. 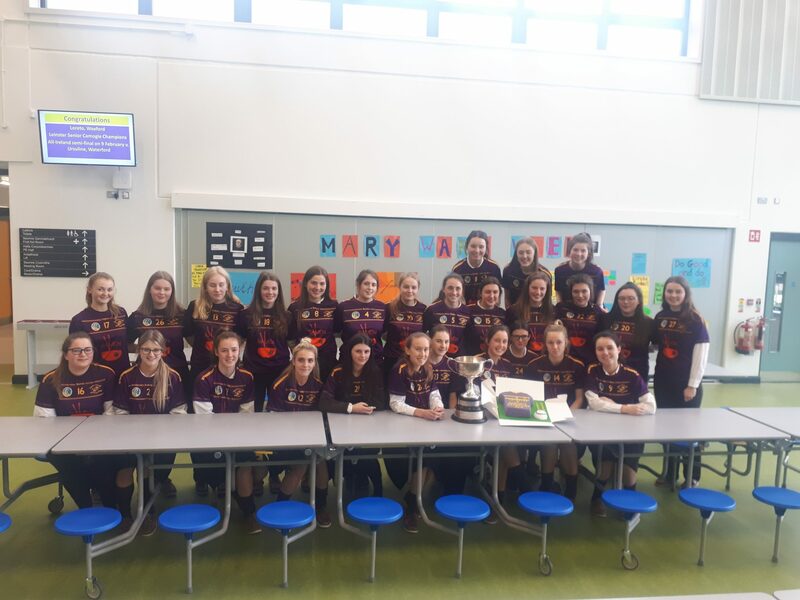 We hope that the entire squad will do well on the day and that they will be supported by a large Loreto following. The school warmly congratulates the players and team management on their great success to date and hopes that all goes to plan in Saturday’s match. It’s that time of the year when students much choose what subjects they want to pursue, whether it’s for the Leaving Cert or for CAO. It is a difficult decision and a stressful time. This year, to help Transition Year students (TYs) with choosing Leaving Cert. subjects, the Students’ Council organised a Subject Choice Fair. This allowed TYs to get a clear understanding and representation of each subject and the work needed for it, from a student perspective. 6th years who study the subjects provided the information. The fair was held on Monday, 28 January in the general purpose area. Tables were set up for each choice subject decorated with signs made by TYs. Each stand was manned by two 6th year students who currently do the subject. They provided examples of textbooks, homework, exam papers and tests etc. for TYs to view. The TY students were given a sheet of questions they could ask the 6th years about subjects they were interested in and were free to walk around the fair. Many teachers also attended to help answer questions. The Subject Choice Fair ran smoothly and was successful. It is a great opportunity to get an insight into each subject and from the perspective of students rather than teachers, something which would have been really beneficial for me when I was in TY. So, hopefully the Subject Choice Fair will be a common occurrence in years to come. Due to the Mocks, the Student Council will only be back after midterm. Till then we wish the best of luck to the 3rd and 6th years! 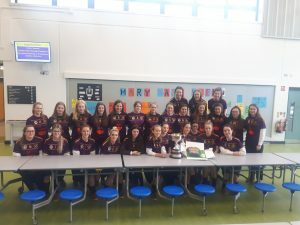 The 21st to 25th of January was Mary Ward week in Loreto schools across Ireland. To commemorate the founder of Loreto, many events were organised in our school across the week. Walk in the steps of Mary Ward: all students and staff members attempted to walk 2414km as Mary Ward had done. Sponsorship money for this will be donated to Loreto Rumbek and Loreto Peru. Poetry Competition: a competition was run for the entire school to write the best Mary Ward poem. There was a great response from students. The winner was Lucy Fitzgerald (2nd year). A prayer service was held on the Thursday with the theme; “Continuing the journey Mary Ward”. The service was accompanied by singing from Emma O’Leary and Sinead O’Reilly played the harp. There were readings from various students about how Mary Ward inspired us today and head girl Gia Simmons read quotes from Mary Ward. Fr. Fegan spoke to the staff and students in attendance to close the service with a final blessing. This week helped to enrich the new school building with the values of Mary Ward; Freedom, Truth, Justice, Peace and Joy. Nothing this week would have been possible without the tireless efforts of teacher, Ms. Linda Jordan. This year, the Green School Committee are working towards the Travel Flag. 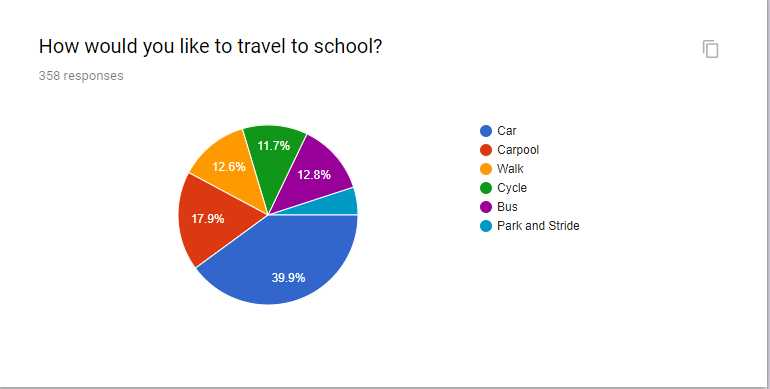 The aim of this flag is to increase the number of pupils walking, cycling, carpooling, using public transport or using park ‘n’ stride instead of the private car on the school run. A survey was recently completed by the committee, in which we asked students how they normally travel to school, how they would like to travel to school if they had the opportunity and how they feel about their role reducing harmful carbon emissions. 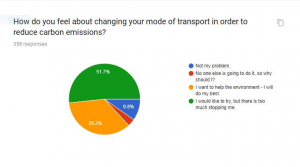 The results show that most students come to school in cars and that they feel strongly about their role in protecting the environment, but they feel that there is too much stopping them. Following the survey, the committee did a ‘Walkability Audit’. The purpose of this audit was to assess the safety of students who walk to school and to make note of any changes that need to occur in our locality to make it safer for walkers. The committee went for a walk with Ms. Coman from An Taisce and the Green School Coordinator, Ms. Culleton, and we explored the surrounding area to see whether it was safe or not. One very important observation involves the traffic congestion around Loreto during rush hour. The results are being prepared by Ms. Coman and will be made available soon. Lastly, the committee would like to report on the Green Code competition held at the beginning of the year. Once again our Cross Country teams were out in force representing the school. The South Leinster Cross Country teams had to brave awful conditions of rain and sleet on Thursday, 31 January in Carlow Hurling Club. The runners once again did the school proud. Cliona Kearney was 3rd in the Minor, and along with the rest of the team also took home the Silver team medal. The team consisted of Kate O’Flaherty 13th, Ellie O’Mahony 20th, Emma Cullen 37th, Mary Roe 45th and Hazel Hickey 50th. 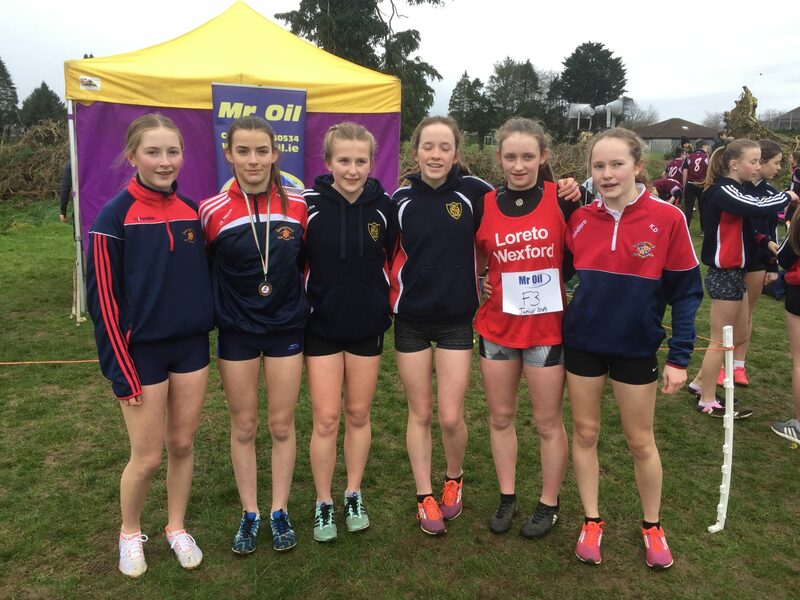 Eimear Halpin was 1st home for the Junior team in 5th place and they also claimed the Team Silver medal. 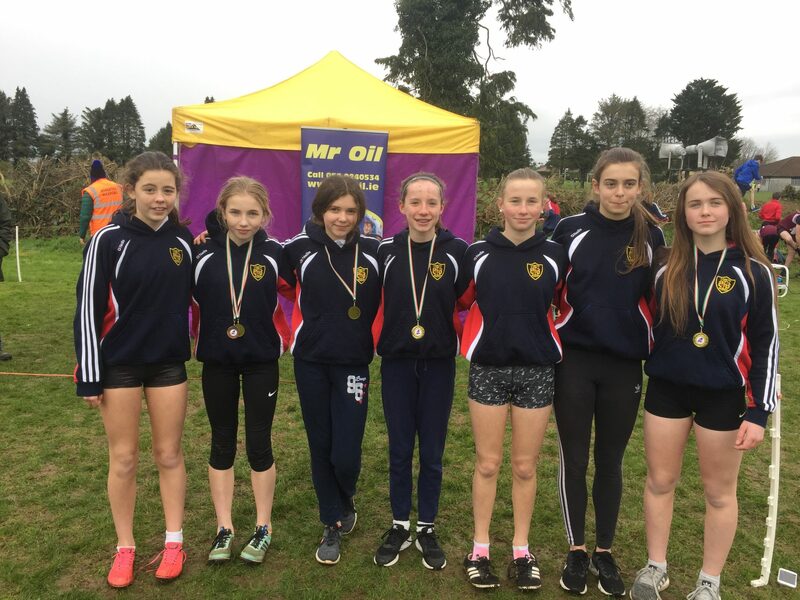 The team was represented by Flora Doran 11th, Caoilfhionn Ni Nuallain 20th, Ava Kearney 23rd and Taylor Peare 26th, Kiera Dempsey was unfortunately ill on the day. In the Inter race Roisin O’Reilly was 2nd with a great race. She was followed by Eimear Fortune in 20th and Sabhdh Quinn in 31st. Well done to all the girls who have qualified for the Leinster’s in Dublin. 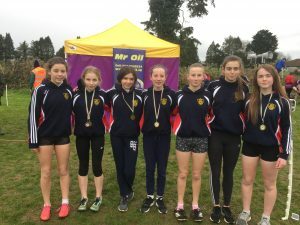 The annual Wexford Schools Cross Country took place later than normal due to bad weather conditions in November. The Loreto students once again proved to be a force to be reckoned with when it came to this event. In the Minor race Cliona Kearney took the gold medal in a very fast time. She was followed by Kate O’Flaherty 4th, Ellie O’Mahony 5th, Robyn O’Connor 9th, Emma Cullen 10th, Mary Roe 12th and Hazel Hickey in 15th. The Minor team claimed the Gold team medal with their great results. Our Junior team also claimed the medals with Eimear Halpin finishing in 2nd, Flora Doran 4th, Caoilfhionn Ni Nuallain 7th, Ava Kearney 9th, Taylor Peare 10th, and Kiera Dempsey in 11th. The Junior team also claimed the Team Gold medal. 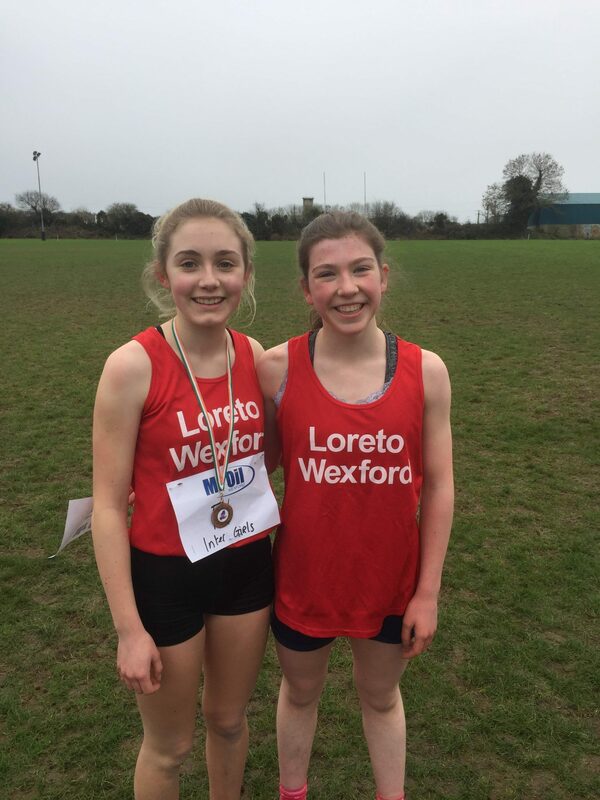 We also had 2 intermediate runners who competed in the 2000m – Eimear Fortune finished 5th and Sadhbh Quinn finished in 15th. Unfortunately we missed out on best overall school by 2 points.